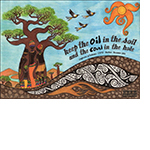 Members of Oilwatch Africa network met in Lome, Togo, on 9 June 2015, to discuss the implications of the world’s dependence on fossil fuels on climate, food sovereignty, nutrition and well-being in Africa. The conference particularly examined the environmental and socio-economic impacts of oil, gas and coal extraction, as well as the impacts on food production, water pollution, deforestation and the growing trend of land grabbing on the continent. The final Declaration stresses the importance of healthy soils for supporting life and culture and that “extractive activities are inimical to keeping our soils healthy and alive”. Oilwatch Africa reiterates their call to “leave fossil fuels underground and work to build a better life above the ground”. See full Declaration here.